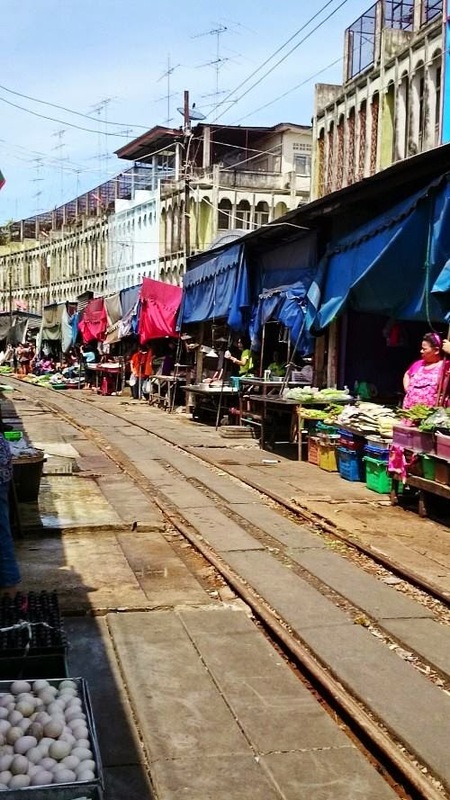 Maeklong Railway Market is one of the destination I want to go from small, because last time saw one travelling show got come here. Feel quite special for this market. 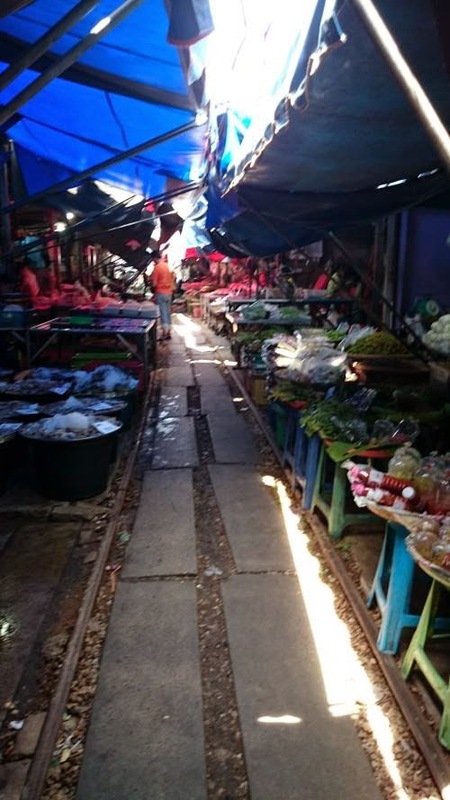 So after the floating market, I have come to this Maeklong Railway Market to wait for the moment (Train passing by). 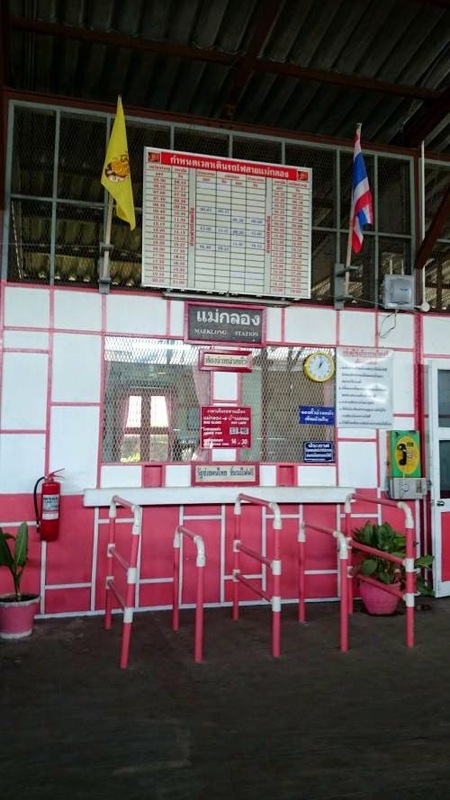 So while waiting, I can buy some fruit to eat at the railway site. 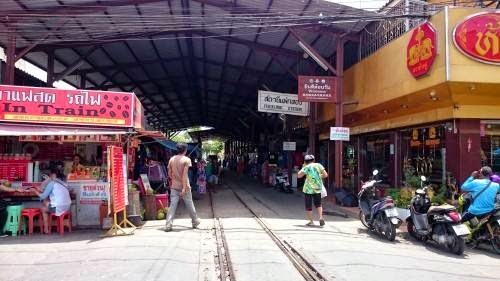 The special of Maeklong Railway Market is because the market can open and close easily when the train is coming. (Besides you also can see many of the worker body can train till S shape when the train is coming- my video)*haha*. When the train come, will have announcement, then the train will come slowly. The train is very close to me, and I can touch it with my hand too!